Each network interface on your computer or any other networked device has a unique MAC address. These MAC addresses are assigned in the factory, but you can change, or “spoof,” MAC addresses in software. MAC stands for “media access control.” MAC addresses are also commonly referred to as physical addresses or hardware addresses, because they correspond to a hardware adapter. Why Mac Address is used for? AC addresses are required to make a local Ethernet (or wifi) network function. They allow a network device to attract the attention of a single directly connected device, even though the physical connection is shared. This can be important when thousands of devices are connected together within a single organisation. They serve no function on the wider internet. To really understand the answer to this question, you need to understand the OSI (sometimes known as the 7-layer) model. For communication to take place between 2 applications running on separate machines which don’t have a direct physical connection, a lot of work needs to take place. In the olden days, each application would know exactly which machine code instructions needed to be run in order to produce an appropriate signal that would reach, and could be decoded by, the application at the far end. All communication was effectively point-to-point, and software had to be written to suit the exact situation in which it was to be deployed. Obviously, that was unsustainable. Instead of this, the problem of networking was split into layers, and each layer knew how to speak to the matching layer on a remote machine, and how to communicate with the layer beneath (and sometimes above) it on its local machine. It knew nothing at all about any other layers in place – so your web browser doesn’t need to care whether it is running on a machine that uses a token ring, ethernet or wifi network – and definitely doesn’t need to know what hardware the remote machine uses. To make this work, the 7 layer model uses a system rather like nested envelopes; the application creates its data and wraps it in an envelope for the Operating System to deliver. The OS wraps this in another envelope and passes it to the Network driver. The Network driver wraps this in yet another envelope and puts it onto the physical cable. And so on. Why do you need to change Mac Address? There are many reasons why you might need to change your MAC address. For instance, if your ISP or system administrator limits Internet access to certain MAC addresses, you might find that you’re unable to connect, once you replace your original network adapter. It might take a while for the administrator or company to remedy the situation by amending their records, but you can switch your MAC address to have the problem solved in minutes. Privacy also comes into play. Security experts have raised the question of whether MAC addresses might pose a security risk, but changing the address tied to your hardware makes it a little more difficult for prospective hackers to track your movements. Of course, there are some uses of MAC address spoofing that would be considered illegal in many countries. Changing your MAC address is legal in of itself, but using the process to carry out illegal acts can still land you in trouble with authorities. 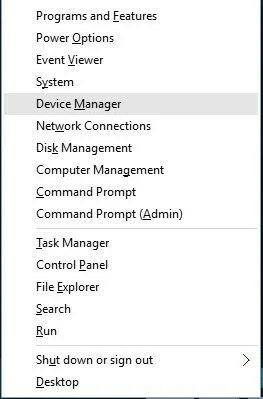 Once Device Manager opens, locate your network adapter, right click it and choose Properties. Once Properties window opens, navigate to Advanced tab and select Network Address from the list of Properties. Select Value option and enter any 12-character hexadecimal value. As you can see, changing your MAC address is rather simple, but keep in mind that your actual physical MAC address remains the same, and in case anything goes wrong you can simply revert to it by following the before mentioned steps. Just select Not Present in Step 4, and you’ll easily revert back to your default MAC address. Some Internet Service Providers link each of their residential customer accounts to the MAC addresses of the home network router (or other gateway device). The address seen by the provider doesn’t change until the customer replaces their gateway, such as by installing a new router. When a residential gateway is changed, the Internet provider now sees a different MAC address being reported and blocks that network from going online. A process called “cloning” solves this problem by enabling the router (gateway) to keep reporting the old MAC address to the provider even though its own hardware address is different. Administrators can configure their router (assuming it supports this feature, as many do) to use the cloning option and enter the MAC address of the old gateway into the configuration screen. When cloning isn’t available, the customer must contact the service provider to register their new gateway device instead.